Context: For hygiene and health, we all embraced packaged water bottles. Today, we all know and discuss about the havoc that overuse of plastics have created on our planet. 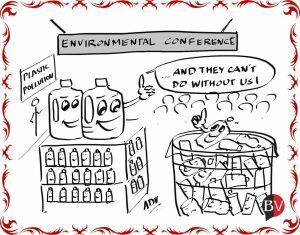 But difficult to find alternatives, plastic bottles continue to enjoy their status, even at the environmental conferences.